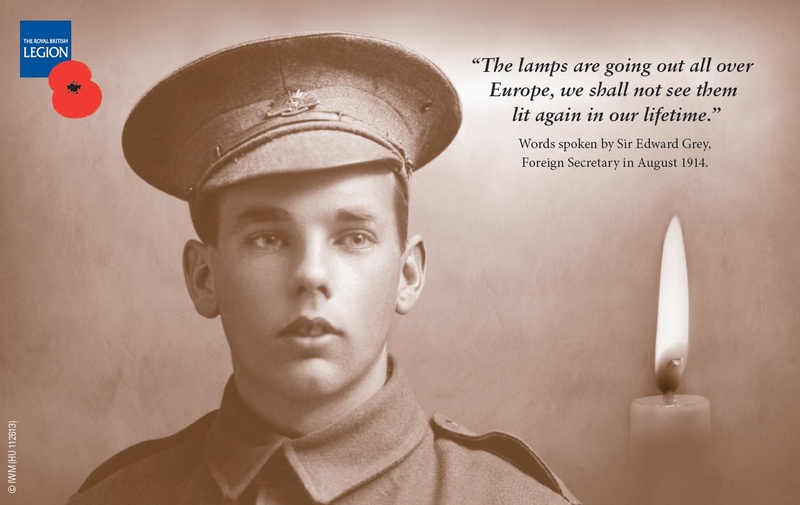 West Oxfordshire District Council is taking part in a mass public ‘Lights Out’ to mark Britain officially entering the First World War in 1914. Across the country, people are being invited to join together in a shared moment of reflection by turning off their lights from 10pm to 11pm on 4 August, leaving on a single light or candle. “We fully support this simple act of remembrance to commemorate the beginning of World War One, an event that has had an enormous impact on our country and our local communities and is still very much in the hearts and minds of many people today. The Government-backed initiative forms part of a wider Lights Out cultural programme to commemorate the centenary, and is funded by £10million lottery money. Details of the cultural programme can be found on the 14-18 NOW website, and further information, including downloadable posters, is on the British Legion website. This entry was posted in launches, news and tagged 14-18 NOW, British Legion, First World War, Lights Out, Sir Edward Grey, West Oxfordshire District Council, World War One. Bookmark the permalink.